Tracy Phelan has been your local Realtor since 1992. Helping families just like yours buy and sell Real Estate for over 26 years! I love helping my clients get the results they are looking for. I have been inducted into the Hall of Fame and have my Lifetime Achievement Award which recognizes continued career excellence in Real Estate Sales ! The majority of my business comes from referrals and past clients. I have a wealth of experience, knowledge of the current market and having family roots in Niagara for over 40 Years. Buying or Selling a home is one of the biggest decisions you will ever make. Who you work with matters. I guarantee I will always be looking out for your best interests. I'm here to help you !!! Buying, Selling or Investing for your Retirement ! Serving : St. Catharines,Thorold, Niagara Falls,Welland, Niagara on the Lake, Lincoln, Fort Erie, Ridgeway & all Surrounding Areas. In April 2019, when we were looking for a real estate agent in St. Catharines to help us buy a home, we wanted someone who was on our side, able to tell us what pitfalls to avoid, and the truth about whether a house was reasonably priced and well-maintained. We also wanted someone who could give us answers to the many questions we had. We found all that, and more, in Tracy. She is professional, knows the real estate market very well, and is down to earth and easy to talk to. Tracy guided us through the complicated maze of home-buying, and made us feel comfortable at all times. She was patient and calm, and responded immediately to all phone calls and emails. The next time we buy or sell, we'll be calling Tracy back. Working with Tracy was great, Tracy has great knowledge of the market and region which helped us find the right choice for our family being from out of town. She was always in communication and had shown us enough homes until we found the right one. Her negotiating experience also helped us secure an excellent purchase price. Listing in the Summer months was questionable for us at first, but Tracy Phelan soon put our doubts aside when we received an offer the first week on the market! 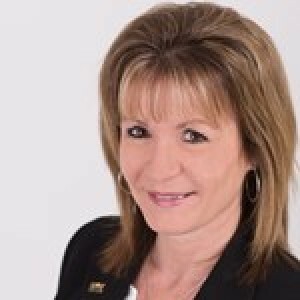 Tracy’s many years in the Real Estate industry really does show in her professionalism especially on her approach to market our home and when it came to the offer of purchase , she negotiated a deal we were both very happy with. Our property is in a very well kept Condominium complex and Tracy is fully aware of the different variables that come along with how Condominium corporations are run. We have purchased and sold with Tracy in the past and will continue to refer all our friends and family for anyone that needs great real estate services! I will miss Tracy’s Happy Chirpy phone greetings that made me smile every time when she was keeping us posted on activity on our home! We have purchased several homes with Tracey over the past nine years. Each time she has been professional, friendly and always took the time to help us purchase the homes for our needs. From our current home to rental properties, she kept us well informed of the market, and helped us with our investments in the market to achieve our future goals. We also liked that when ever we had a question about the market or a property in mind, she always returned our calls in a timely manner and cheerful response. We look forward to working with Tracey in the future and love the fact that our son is now a second generation home owner through Tracey. I have known Tracy Phelan for several years and heard fantastic feedback from friends and family experiences when they dealt with Tracy when buy or selling their homes. When my boyfriend and I were ready to sell our houses and buy a new one there was no doubt who we wanted to help us. From the 1st contact on the phone to the day we got our home Tracy never disappointed us. She was professional yet dealt with us as if she had known us her entire life. 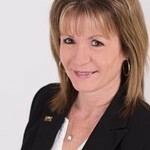 If you are looking for the BEST Real Estate person Tracy Phelan is your girl. She will not disappoint.